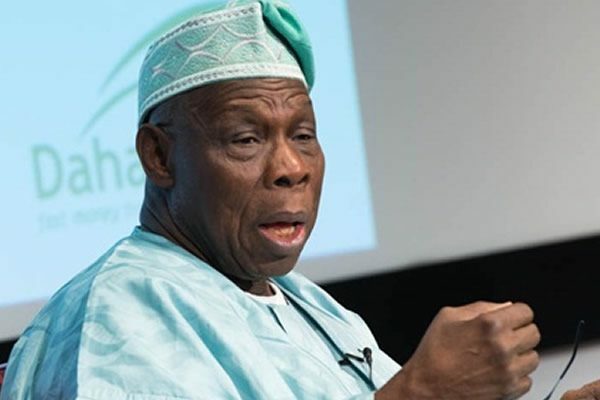 Former President, Chief Olusegun Obasanjo has restated that those agitating for the breakup of Nigeria are wrong. Obasanjo, who made the remark while condemning those calling for the break up of the country, noting that the problem of the country was not in its structure, but in the ‘mentality’ of its citizens. Speaking in Lagos, yesterday, the former President said he prays for a change of mentality by the agitators. He advised Nigerians not to be deceived by those calling for war, noting that they had not witnessed one before. The former President went on to state that his wish was for the country to remain as one. “Anybody who thinks Nigeria is going to be breaking up is wrong”, he said. He, however, stressed that the recent clamours for restructuring were legitimate. “We need to do more about the equity of this country. We need to see ourselves as our brother’s keepers. We need to share our natural God-given resources together,” he said. This is coming at a time when the leader of Indigenous People of Biafra (IPOB), Nnamdi Kanu, said Obasanjo will die if he makes any effort to stop the Biafra agitation. Kanu issued the warning while reacting to Obasanjo’s call that he should be stopped for agitating for Biafra. Also, IPOB had yesterday accused the former President of plotting to assassinate Kanu and overthrow the President Muhammadu Buhari-led government.